From the minds of comic creators Len Wein and Ross Andru, Jigsaw made his comic book debut in the 1970s. He was a brutal Marvel villain who tended to have a one track mind: making Frank Castle (aka The Punisher) pay for what he did to his face. Jigsaw, real name Billy Russo, grew up in an abusive household and slowly worked his way up in organized crime. That meant he spent a lot of time in violent situations, and his body took quite the beating, over and over again. When he took on a job that involved taking out Frank Castle’s family, he had to follow it up by taking out everyone else involved as well. The only one to escape was Castle himself, which came back to haunt Billy in a big way. If he thought he had a violent life before the job, he certainly had one after. His many clashes with Frank Castle over decades in comics and now, live action stories, caused the character to heal and injure his face repeatedly, and even get resurrected by a demon. 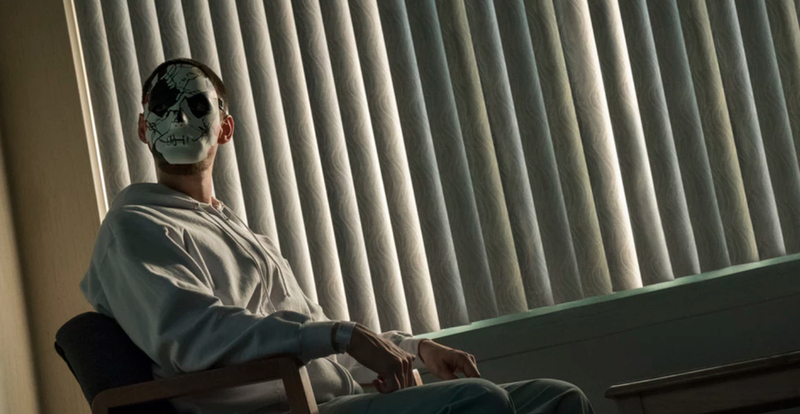 With a new version of the character appearing in the Netflix Punisher series, we’ve got all the details of just what he’s been through up until now. Check out what we’ve rounded up with the 25 Strange Details About Jigsaw’s Anatomy. Billy didn’t become Jigsaw by accident. The Punisher allowed Billy to live after already ending the lives of everyone else involved with the attack against his family. He wanted to send a message. He left Billy in such a state that there was no doubt there would be lingering physical effects. Frank Castle wanted the physical reminders to be a visual trigger for anyone else who would even consider coming after him. He hoped it would deter anyone else from getting in his way. Instead, his decision created a nemesis who repeatedly came after him. 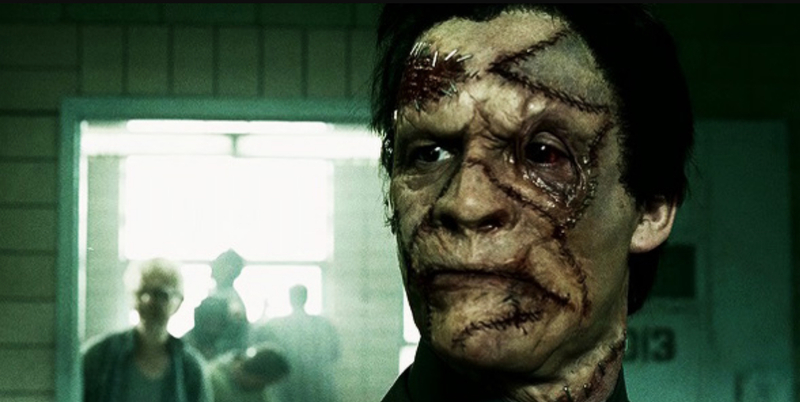 Though Jigsaw doesn’t use a mask in the comments, Billy used one in season two of Punisher on Netflix. Many fans noticed the stars and stripes on the side of the painted mask, but there happens to be a story behind it. Billy’s mask is more than just a way for the series to hide his scars. It’s inspired by a method of art therapy used for members of the military affected by Post Traumatic Stress Disorder. One program asks their patients to create a mask reflecting their feelings. It’s step one in getting them to talk about their trauma. Ben Barnes revealed National Geographic’s coverage of the practice inspired the use of Billy’s mask. Jigsaw’s comic book debut is an interesting one. Though he’s primarily known as a Punisher villain, he didn’t make his debut in a Punisher comic. Instead, he debuted in Amazing Spider-Man, but his physical first appearance was actually an issue later than his scheming began. 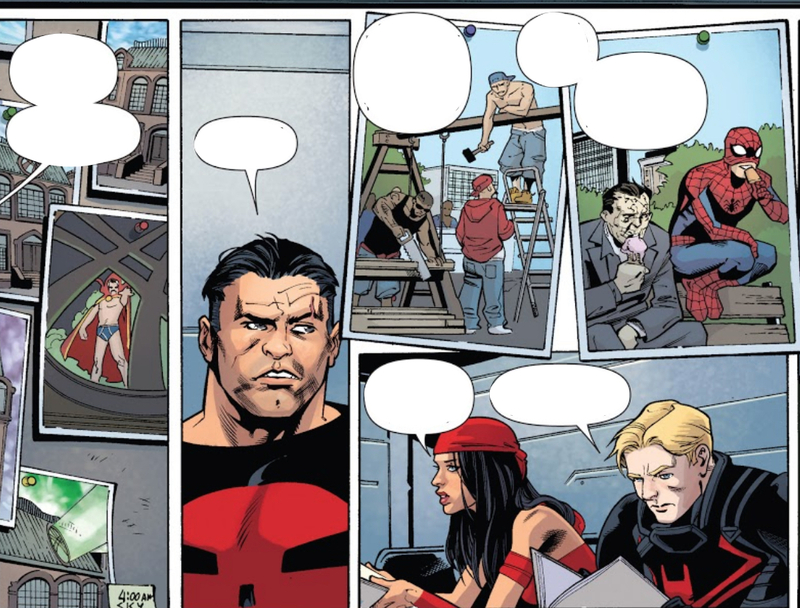 Amazing Spider-Man #161 featured someone framing Frank Castle while Spider-Man investigated. All of the events put into motion in that issue were orchestrated by Jigsaw, but fans didn’t get to see the new villain until the next month’s comic book! He made his debut while the Punisher, Spider-Man, and the X-Men’s Nightcrawler all investigated the same crime. One hallmark of the character that certainly stuck for Netflix’s Punisher series is his physical appearance. Plenty of characters commented on how pretty Billy Russo was in the first season of the show, foreshadowing a big change in appearance for him. In the comics, Billy even had a nickname before he officially became Jigsaw. As a member of organized crime, his cohorts called him “Billy the Beaut.” The name served as a nod to how attractive the character was supposed to be. Along with his pretty face came leadership skills and natural charisma that allowed him to gather his own followers. When you have a nickname like Billy the Beaut, and your looks are drastically altered, keeping the old name might make you even more self conscious. At least, that seems to be Billy’s feelings on the matter. He christened himself Jigsaw after one massive fight. Billy and Frank Castle came to blows after Castle discovered that Billy was one of many responsible for the destruction of Castle’s family. 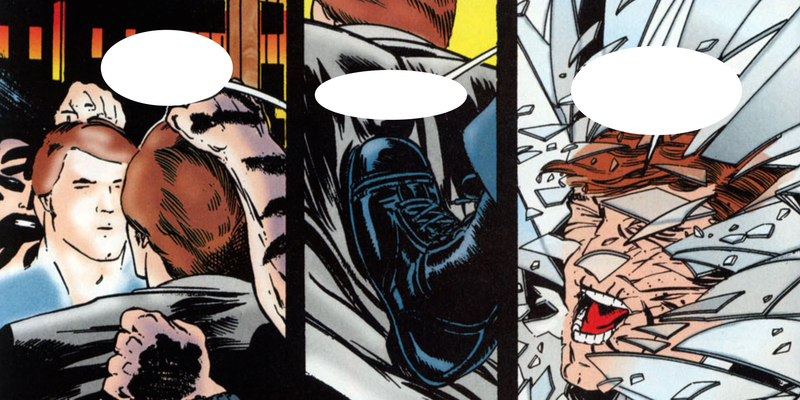 During their confrontation, the Punisher put Billy through a plate glass windows. When Billy had surgery to repair the damage, his face resembled the pieces of a jigsaw puzzle put together. One common misconception about comic book characters is that they all must have superpowers to keep up with the likes of the X-Men and the Avengers. However, this is not always the case. Neither Jigsaw nor his nemesis the Punisher are superhuman. Because neither of them are superhuman, they have to work to keep themselves in fighting shape. Jigsaw is considered “peak condition” for a man of his age and size. That means he can probably lift a couple hundred pounds, but he’s not going to be throwing any cars around. That’s why Jigsaw relies on a range of weapons to give him an edge. DC and Marvel Comics created a crossover event that combined their universes. It also mashed up their characters to create whole new ones. Jigsaw combined with DC’s Cheetah to become Pelt-Man. This character’s real name was Billy Minerva, and he was cursed to look like a giant cat. 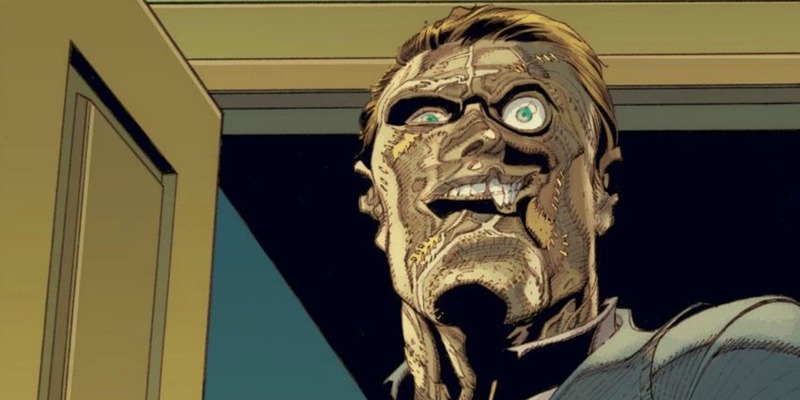 His anger at his appearance caused him to target only the “beautiful people.” He used his skill set to permanently mar their faces until Trevor Castle (aka the Amalgam Universe’s combination of Steve Trevor and Frank Castle) wound up on his trail. In the 1980s, Billy Russo spent some time as a member of a villainous group called the Trust. It wasn’t exactly by choice. The group created a hit squad of those with fighting and weapons experience. In Billy’s case, though, he was brainwashed to make him lead the squad. Eventually, a trigger caused him to remember his old life - including his days as the villain Jigsaw. All he had to do was encounter Frank Castle and all of his old memories began flooding back. Billy remembered who he was, and he went right back to his old ways, trying to make the Punisher miserable. Because his appearance was so important to him before he crossed paths with the Punisher, Jigsaw was still self conscious about his looks after becoming a criminal. He fell in with a man who worshipped a demon, calling him the Rev. Since the Rev was able to draw power from the demon he followed, he convinced Jigsaw to work for him, in exchange for healing his scars. The Rev used the magic he could access to heal Jigsaw’s scars. All Billy had to do to keep his good looks was do a few more jobs. Unfortunately, things didn’t work out that way. Fairly soon after the Rev gave Billy his good looks back, the Punisher turned up. The Rev had initially broken Jigsaw out of prison in order to make the offer to him. The Punisher tracked them down, intending on stopping Jigsaw and the Rev from whatever other criminal activity they were up to. Once The Rev healed Billy, Frank decided to remind Billy of their old times together. Intending to put Billy in his place, when they came to blows again, Punisher used some of the local flora to mar Billy’s face all over again. During the same story arc, Punisher also gave Billy a well-placed bullet. 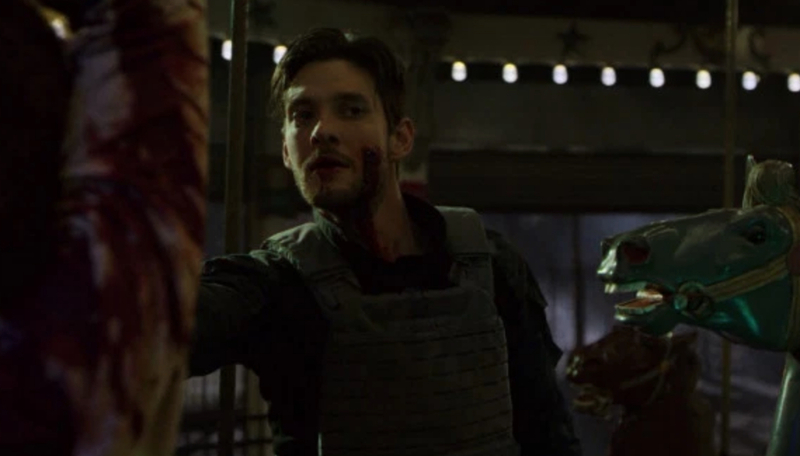 Frank Castle might have thought he put an end to his Jigsaw troubles, but with the Rev’s connection to the demon known as Belasco, that wasn’t so. The Rev and Belasco were able to resurrect Billy. 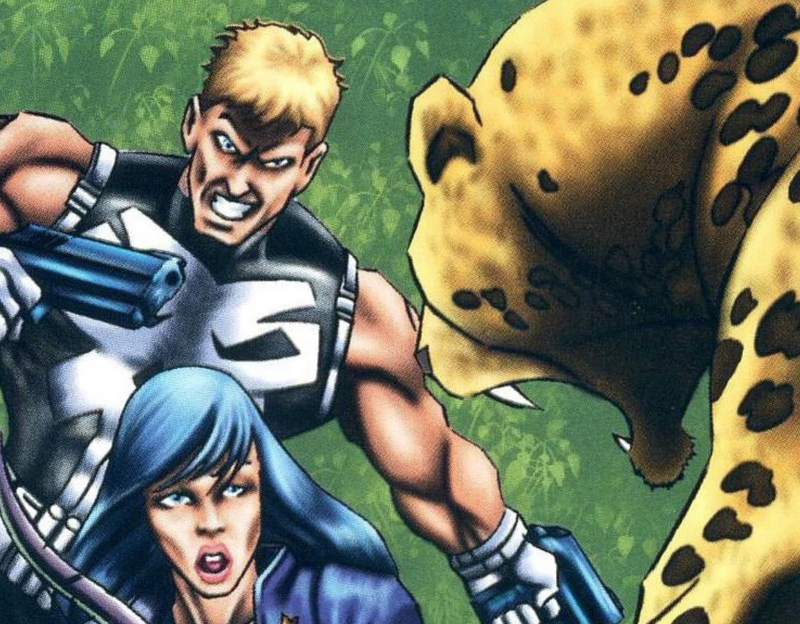 When he was brought back to life, Billy went right back to tracking down the Punisher. The fight led to the aforementioned close encounter with the local plant life. Billy just couldn’t escape being Jigsaw, no matter how hard he tried to get away from the Punisher. A lot of Marvel comic book villains don’t have the time to have a family. They become so consumed by power or revenge that their relationships suffer. Billy Russo is no exception. Jigsaw does have a son named Henry. His treatment of Henry drove a wedge between the two, but that wasn’t all. 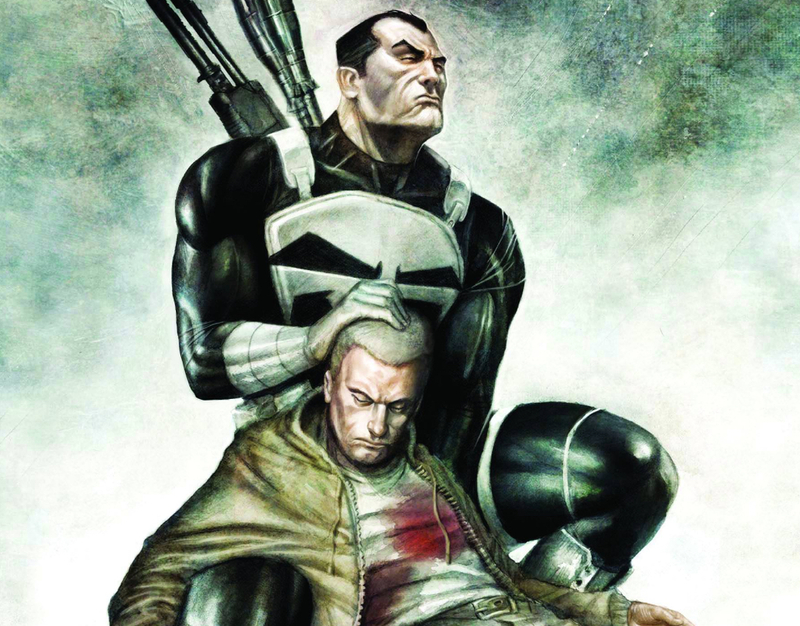 Henry also became an ally for the Punisher, putting him directly opposed to the actions of his father. At least Jigsaw doesn’t have to worry about his son attempting to take over the family business and stealing his power right out from under him like other villains do. Jigsaw isn’t above using his own son as a means to an end. When Billy teamed up with Stuart Clarke, they named themselves the Jigsaw Brothers and set out to end the Punisher. In order to do that they manipulated Billy’s son Henry into helping him, though he didn’t realize what was happening until it was almost too late. Jigsaw betrayed his teammate, ending Stuart’s life, thinking he would be able to take all the credit for bringing the Punisher down. In their big confrontation on top of a burning building, Billy fell. Henry watched his father fall, letting it all happen, thinking the conflict would be over with his father gone. Jigsaw miraculously survived. Reading comic books certainly requires a suspension of disbelief. After all, most of the characters achieve impossible feats on a regular basis. 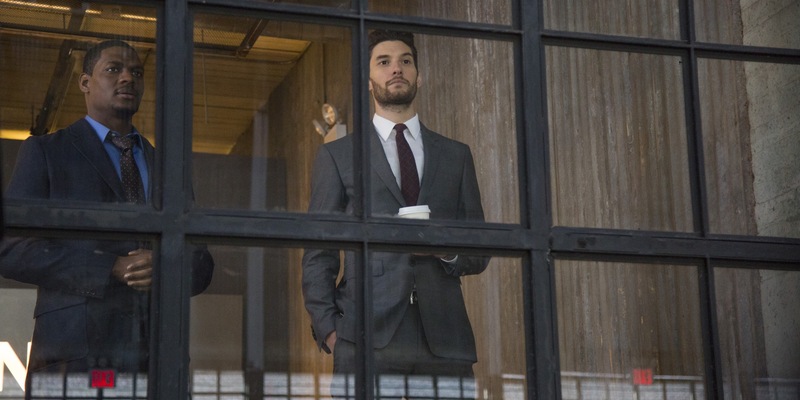 For Billy Russo, who has no superhuman powers, he seems to survive more impossibly than most. In particular, he survives his rounds with gunshots extremely well. In addition to being resurrected by the Rev after the Punisher ended his life, he also survived several more gunshots at point blank range in the following years. One of those was even another bullet to the head during a confrontation with the Punisher. 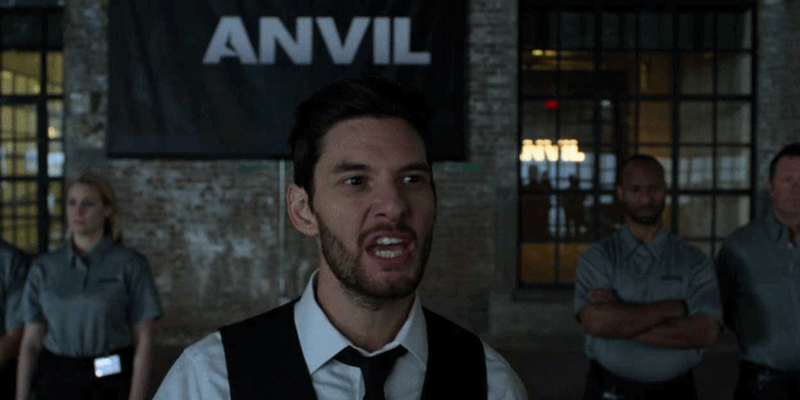 Modern Punisher fans know Billy Russo as the Ben Barnes version of the character. The Netflix show reimagined him as military from his organized crime roots. The 2008 Punisher movie War Zone played things a little closer to the comics, however. There, the first live action portrayal of Jigsaw came to life from Dominic West. Makeup artists went all out, getting the character as close to the comic book look as possible for the screen. While the appearance and background of the characters were very different, both men brought Billy Russo to life in a calculated and slightly unhinged way. We already know Jigsaw is susceptible to brainwashing and mind control, but one instance in particular gave readers pause. After falling into that burning building, he wasn’t seen again until pictures surfaced in the Thunderbolts Annual of him with Spider-Man. The two appeared to be buddied up - a far cry from their usual relationship - as they shared ice cream together. It turned out, Jigsaw’s mind was under the influence of the Fairy King known as Oberoth’M’Gozz. If the fairy “thrall” was enough to get him to play nice with Spider-Man, imagine how well it could have made him get along with his mortal enemy. Despite Jigsaw’s obsession with the Punisher, he still runs his own crew and takes on the odd job for other criminal organizations. Even when he’s not devoting his time to the Punisher, though, his thoughts are occupied by his enemy. Even though they don’t look much alike, he’s impersonated him as a result. When the Punisher spent a little time in prison, Frank Castle faked his own demise. Jigsaw was so upset that he didn’t get the chance to “finish the job” he was hired to do so many years earlier that he actually created his own Punisher costume, setting out to take out those who took the chance from him. The 2099 Marvel universe was an alternate future where many of the heroes and villains comic fans knew found themselves augmented by technology. Jigsaw was no exception. Initially introduced as a cyborg named Multi-Factor connected to organized crime, the character encountered the Punisher during a job gone wrong. A machine that was supposed to enhance his power actually destroyed him. When that happened a veterinarian and a mortician teamed up to put him back together with machine and animal parts, creating Jigsaw 2099. That version of Jigsaw encountered the Punisher again. He found himself destroyed and put back together multiple times. DC and Marvel comics created a crossover for Batman and the Punisher not once, but twice. 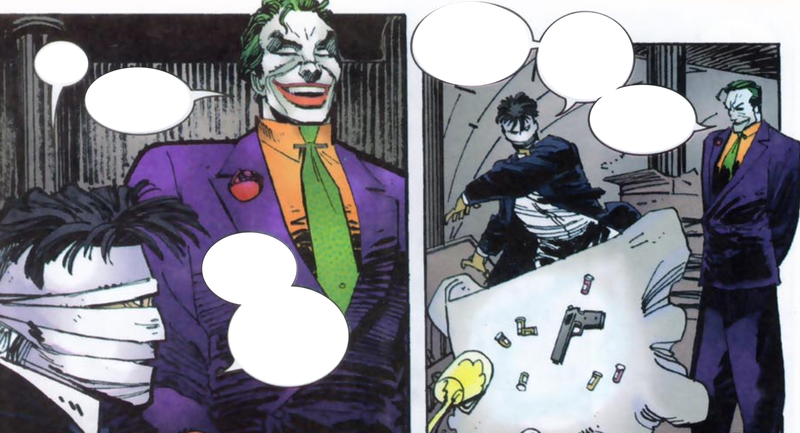 In both stories, Jigsaw allied himself with the Joker in an effort to beat the heroes and take over Gotham. It was in the second outing that the Joker decided to help Jigsaw put himself back together. The Joker extorted one of the best plastic surgeons in the DC universe to help his new friend out. It’s a bit of a surprising move since Joker doesn’t even go that far for his more frequent allies. Regardless, the surgery was ruined by one of the Punisher’s fragmentation grenades, and Jigsaw ended up behind bars again. 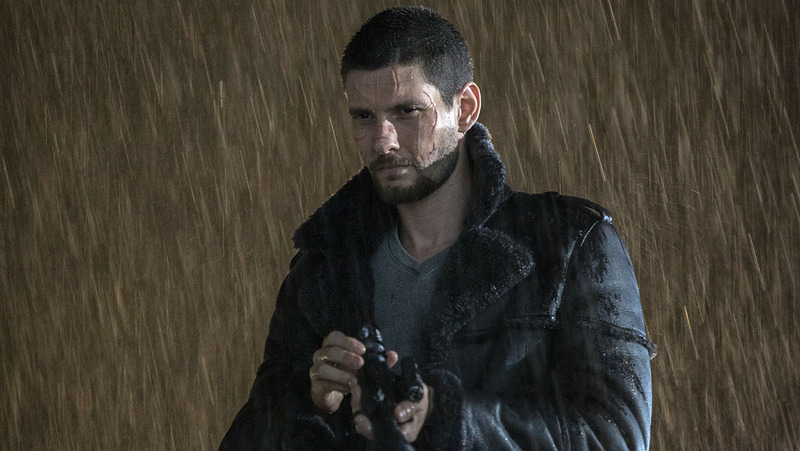 When Ben Barnes snagged the role of Billy Russo for the first season of Punisher, he knew his character was on track to become the title character’s nemesis. For the series, though, the character was a military man with a particular skill set. To prepare for the role, Barnes took up some very specific training methods. His two primary areas of training were boxing and knives. Both became part of Billy’s style. Barnes also took a less conventional route: walking the city streets of New York in the middle of the night. He told Cinemablend he wanted to learn to carry himself like someone who would be comfortable in a dark alley, and it paid off. 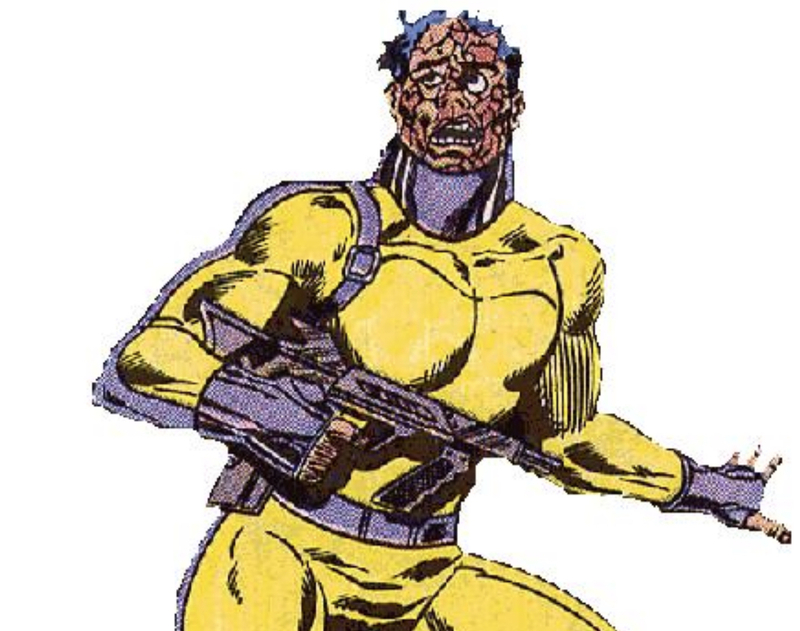 Unlike his Netflix counterpart, the Marvel Comics version of Jigsaw didn’t spend time in the military training to avoid compromising a military unit. Despite that, he can still withstand an “exceptional” amount of pain. Every so often, the publisher updates their Official Handbook of the Marvel Universe with stats on the characters present in comic book pages. Billy Russo’s Jigsaw doesn’t have superpowers listed for him, but he does have a note about his high pain tolerance. Perhaps that’s the real reason why he’s been able to survive so many catastrophic encounters: he just doesn’t let the pain get to him. When you operate in the realm of organized crime, and you do it in a world full of superpowered people, you have to take some precautions. As Jigsaw, Billy Russo ran afoul of more than just the Punisher. He also found himself at odds with Daredevil, Spider-Man, and members of the X-Men on occasion. As a result, he had to give himself an edge in a fight. He owns a specially designed exoskeleton for the times when he knows an enemy is more powerful than him. In addition to titanium and steel construction, it also holds hidden adamantium wrist blades and increases his strength. 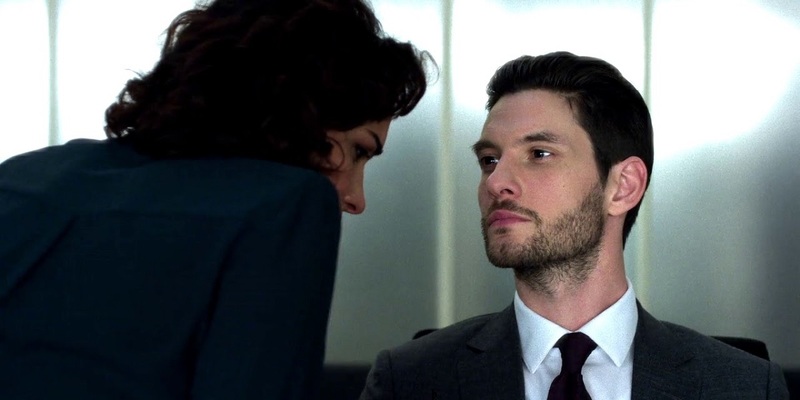 Ben Barnes doesn’t have the same facial scarring that Billy Russo has when season two of Punisher begins. As a result, he had to spend a lot of time in the makeup chair when his face was visible on camera. Makeup artist (and a member of Marvel TV’s Prosthetic Department) Joshua Turi designed the look for the Netflix version of Jigsaw. Rachel Hevesi then had to apply the makeup for filming everyday. According to Hevesi, who shared a video from Barnes online, she got the entire process down to just under an hour everyday. Thanks to his first major encounter with the Punisher, Jigsaw suffered psychological trauma. Before the two got into a serious altercation, there’s no indication that Billy Russo had any reason to fear glass, but afterwards, he certainly learned to. Jigsaw suffers from nelophobia in the comics. While the condition refers to a fear of glass, Jigsaw specifically fears large panes of glass. Being thrown through one and having to have your skin stitched back together will likely do that to you. His fear is never named outright on the pages of a comic book, but the sixth volume of the Official Handbook of the Marvel Universe made sure to make a note of it. Plenty of actors have stunt performers who who work on intense action sequences for them. It’s only natural to let the pros handle a fight sequence when they’ve trained for it and you haven’t. Both Jon Bernthal and Ben Barnes were able to perform many of their own stunts - especially during fight sequences with one another. Did you learn anything new about the Punisher villain? Or did we miss something about Jigsaw’s anatomy that fans should know? Let us know in the comments!